Some combinations just work. Kris Drever and Boo Hewardine are a match made in heaven in both their well judged vocal harmonies and interweaving acoustic guitar playing. Kris Drever’s main band is the award winning folk act LAU, while Boo Hewardinehas been on the music scene as a songwriter and performer for many years and is a regular in Eddi Reader’s road band. 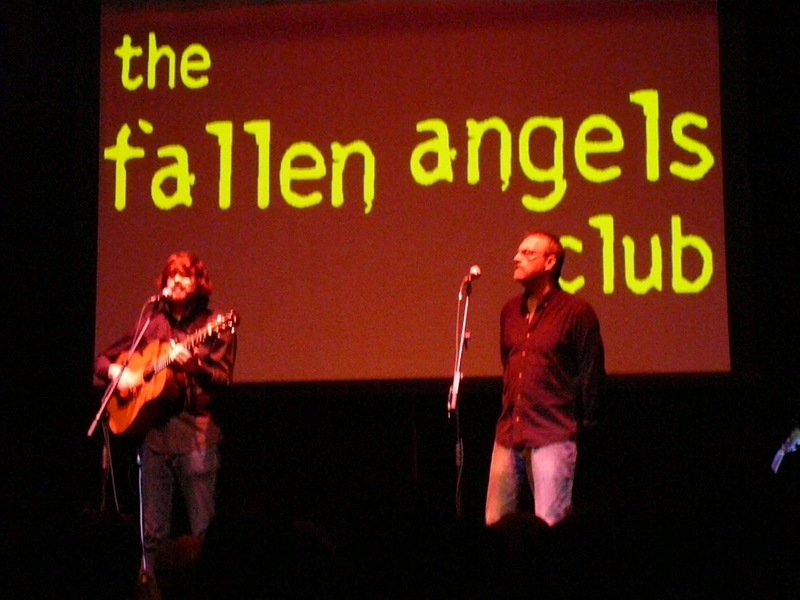 They treated a sell-out audience at The Fallen Angels Club promotion in CCA to two sets of sublime and varied music, there wasn’t a slack moment. Kris Drever opened proceedings with two solo numbers-his voice and guitar playing were impeccable and he seems to be ever-developing as an impressive artist in his own right. Boo Hewardine joined him on stage for the third number “I Didn’t Try Hard Enough” which showcased their Harmony vocals and Kris Drever’s deft lead acoustic work. In between songs their wit and repartee entertained the audience, with much fun being had at their respective age difference among other things. The second set was as varied as the first, Copernaum, a poem by Lewis Spence set to music by Ed Millercame across powerfully, as did Boo Hewardine’s “Liar’s Dice,” a scathing indictment of the banking industry. The set ended with a stirring audience sing-along of “Patience Of Angels”- Eddi Reader was in the house helping the crowd along. Kris Drever returned to encore “Harvest Gypsies” and was rejoined by Hewardine for a gospel tinged “Sweet Honey In The Rock.” All in all a night of quality music performed by two artists who never fail to convey their love of music and a great song.